You can use our printable game cards in all sort of ways. You will find just a few suggestions below, but expect you can come up with more. Then scroll down to find our printables. Spelling bee. Hold up a card and challenge your child to spell the word. Word matching / writing practice. Have lots of fun with our cute Australian animal game cards! Print two sets to play snap or memory, or print four sets to play Happy Families. 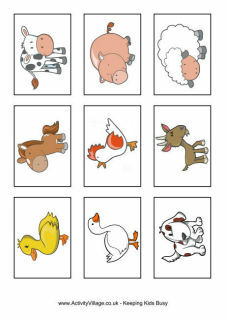 They also make fun mini flash cards - can you recognise and name all the animals? These fun game cards will make going back to school fun, and they're a great ice-breaker at the start of the new school year. Print two sets to play snap or memory, or print four sets to play Happy Families. Use these pretty butterfly matching game cards for memory games, old maid, snap etc. There are nine different designs of butterfly, so just print as many copies as you need, cut out and play. Print out our dinosaur snap cards for a raucous game of dinosaur snap with your kids! Or find other ideas for using our printable games cards. Print these Easter Egg Matching Game cards to play many different games with your children. We've got lots of ideas for using our printable games cards. These printable game cards featuring some funny fish can be used for memory games, snap and sorting games - or you can play Go Fish (with some fish)! Just make sure you print out four sets of cards. Use these printable Fish Matching Game cards to play all sorts of games - see our suggestions below! They are also good for sorting practice and we have provided some simple printable sorting mats below. Use these football game cards for matching or memory games, hide them for a treasure hunt or trail, or play snap! Use these pretty heart game cards to play all sorts of games - perfect for Valentine's day or anytime! You can laminate your game cards to make them more durable. 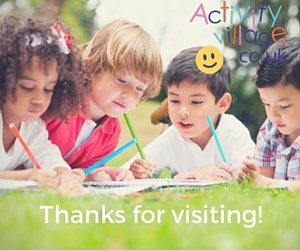 Minibeasts are always a hit with young children, and there are some lovely minibeasts illustrated on these game cards. If you print a few copies, you can keep the kids amused with games of snap, memory, and happy families. Great for rainy days and long journeys! These adorable pet animal game cards make a fabulous first snap game for young children, and help the kids to develop their matching and observation skills. These bright and cheerful sea creature game cards are a great way to keep the kids busy on long journeys or rainy days. Perfect for a fun-filled game of snap or memory games. Our snake sorting cards come in different colours, different patterns, different shapes and some with tongues in and some with tongues out! There are plenty of details to spot and sort the cards by, with or without the help of our Snake sorting mats. Print, cut out, and laminate if you wish. Enjoy playing a Thanksgiving memory game with our lovely Thanksgiving-themed game cards! You could also use them for sorting and counting activities with younger children. Here's a set of transport matching cards with lovely illustrations that we hope will appeal to the kids. Print 2 or more times, then use to play Memory and other matching games. These winter theme game cards are great fun for the kids when it's too cold and wintry to play outside! 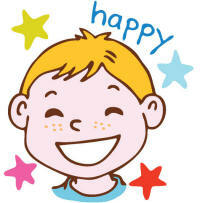 Print onto some card, laminate if you prefer, then use for memory games, snap or ordering games. You can play lots of different games with our winter sports game cards, or you can use them as mini flash cards and for sorting activities. Perfect if you're learning about the Winter Olympics, or just for fun! Here's a set of World Cup 2018 game cards that you can use in lots of different ways! Print out two copies to play snap, or use for memory games and counting activities. Perfect for developing matching, observation and social skills (and learning some new flags too! ).